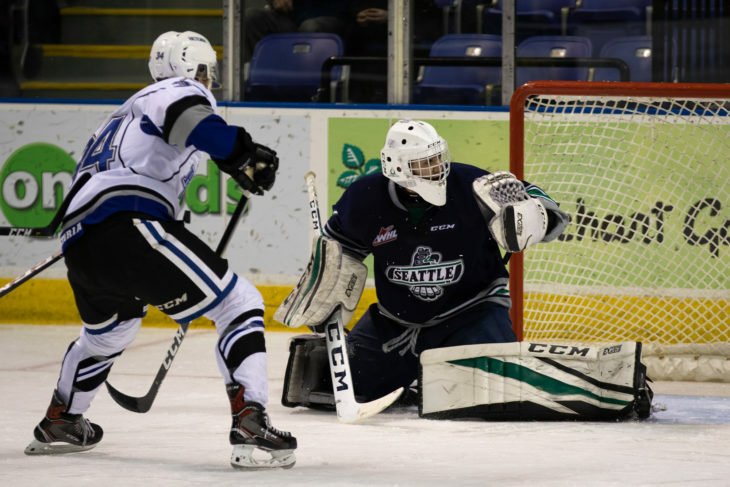 VICTORIA, BC, February 5, 2019 — Seattle Thunderbirds goalie Roddy Ross made 41 saves Tuesday night at Save-On-Foods Memorial Arena to lead the T-Birds to a 5-3 win over the Victoria Royals. Ross had 12 saves in the first period, 13 saves in the second period and 16 saves in the third period. Ross faced a tough test when the Royals pulled their goalie with two minutes left in the game. He made several saves before Matthew Wedman was able to score an empty-net goal with 24 seconds left in the game. Ross improves his record to 7-2-0-1. Roddy Ross in action at Save-On-Foods Memorial Arena in Victoria. 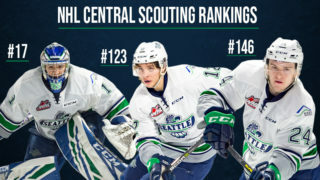 This was the first of back-to-back games for the T-Birds in Victoria. The two teams meet for a second time Wednesday at Save-On-Foods Memorial Arena. 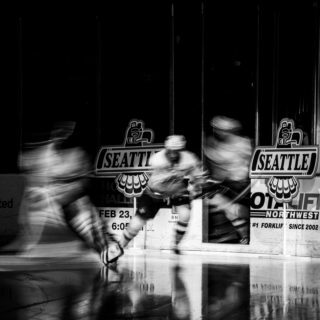 The T-Birds return to accesso ShoWare Center on Friday to play the Portland Winterhawks at 7:35pm. Right wing Payton Mount is from Victoria and was playing his first game in front family and friends. Mount had two assists in the win. 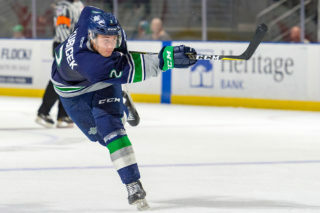 The T-Birds moved ahead of the Kamloops Blazers for the second wild card playoff spot in the Western Conference. Their record is now 20-24-5-1 and the Blazers record is 20-25-4-1. Seattle took a 1-0 lead on a nice steal and unassisted goal from Wedman. Wedman pressured a Royals defenseman in the right circle of the offensive zone. Wedman intercepted a cross ice pass by the defenseman and came in alone on Victoria goalie Brock Gould. Wedman beat Gould over the blocker with a snap shot for his 24th goal of the season. The T-Birds struck a second time just 1:59 after Wedman’s goal. On the power play Tyler Carpendale won a puck out of the right corner to Mount at the right point. Mount crossed the puck to Jake Lee at the left point as Carpendale headed to the crease to screen Gould. Lee skated into the left circle and put a wrist shot over Gould’s blocker for his third goal of the year. Victoria outshot Seattle 12-6 in the first period. Victoria (25-21-1-2) cut the T-Birds lead to one with a power-play goal by Kaid Oliver at 4:44 of the second period. Kody McDonald had the only assist. Owen Williams got the two-goal lead back at 10:43 of the second with an unassisted goal. Williams corralled a loose puck in the neutral zone and gained the offensive zone. Williams took a wrist shot from between the tops of the circles that Gould got a glove on but didn’t get all of the puck as it bounced on the ice behind the goalie and rolled across the goal line. 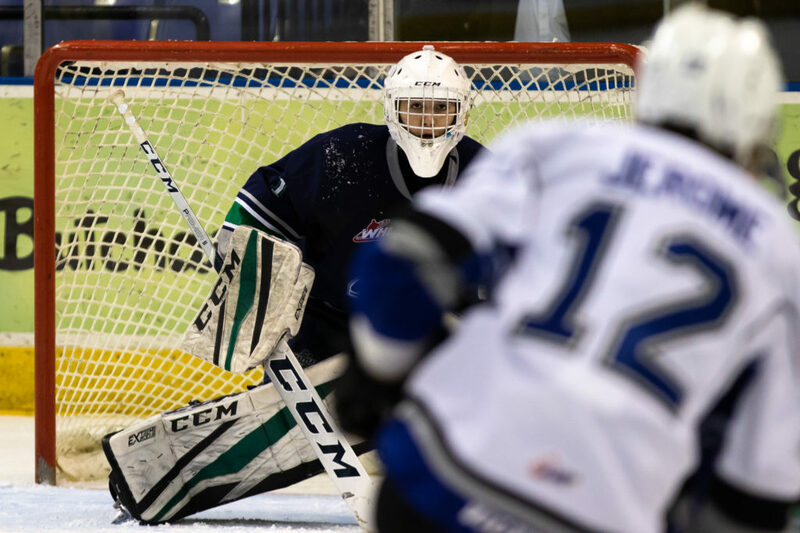 Victoria outshot Seattle 14-7 in the second period and led 26-13 in shots after two periods. The Royals cut the T-Birds lead back to one at 9:41 of the third period on a goal by Kody McDonald. Jameson Murray and D-Jay Jerome had the assists. Cade McNelly scored his first career WHL goal at 11:27 of the third to put the T-Birds in front 4-2. Mount found McNelly at the left point with a pass. McNelly put a wrist shot on net with Jaxan Kaluski screening Gould. McNelly’s shot beat Gould on the blocker side. McNelly’s teammates on the ice mobbed the defenseman and then one of them picked the goal puck out of net to commemorate McNelly’s first goal. Victoria cut the lead one goal a third time at 13:37 of the third on a goal from Scott Walford. Brandon Cutler and Igor Martynov had the assists. With the Royals pressing in the final minute and Gould on the bench for an extra attacker, Wedman was able to control the puck in the defensive zone and then skate up the right wing. In the neutral zone Wedman played the puck off the boards, skated around a defenseman and chased down the puck. Wedman got to the puck at the blue line and flung a backhand shot at the empty Victoria net to seal the win. Victoria outshot Seattle 18-8 in the third period and 4-121 in the game. Gould had 16 saves on 20 shots and his record is 5-7-0-1. First period – 1, Seattle, Wedman 24, 16:36. 2, Seattle, Lee 3 (Mount, Carpendale), 18:35. Penalties – Williams, Sea (tripping), 12:18. Walford, Vic (hooking), 17:17. Williams, Sea (tripping), 18:59. Second period – 4, Seattle, Williams 3, 10:43. Penalties – Richards, Sea (slashing), 3:46. McNelly, Sea (elbowing), 16:09. Third period – 5, Victoria, McDonald 11 (Murray, Jerome), 9:41. 6, Seattle, McNelly 1 (Mount), 11:27. 7, Victoria, Walford 8 (Cutler, Martynov), 13:37. 8, Seattle, Wedman 25, 19:36 (en). Penalties – No penalties. 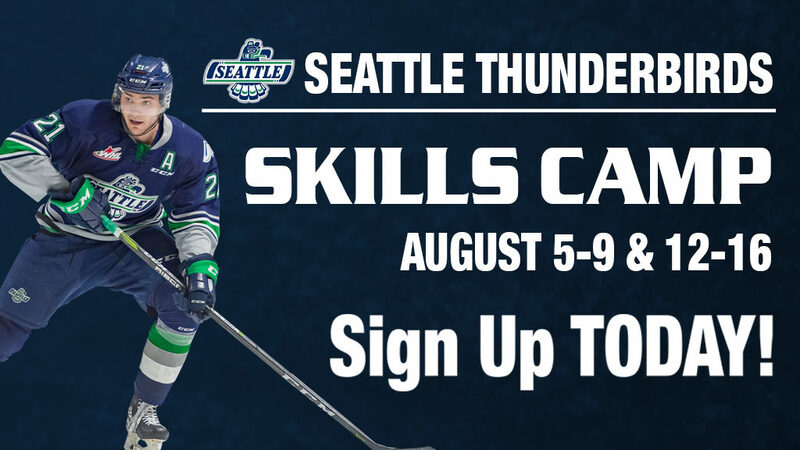 Shots on goal – Seattle 6-7-8 21, Victoria 12-14-18 44. Goalies – Seattle, Ross 44 shots-41 saves (7-2-0-1); Victoria, Gould 20-16 (5-7-0-1). 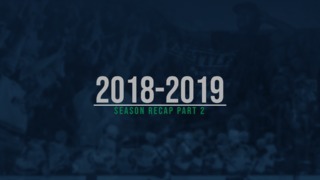 Power plays – Seattle 1-1; Victoria 1-4. A – 3,393. Referees – Ryan Benbow, Adam Griffiths. Linesmen – Riley Friesen, Chris Van Deventer.